I know—this is hard. Maybe you’re reading this as you gear up for Thanksgiving or a birthday or Christmas. Maybe it’s the first day of school pictures all through social media that serve as your trigger. Maybe it’s the birth of your friend’s baby who was supposed to be born the same month as yours. 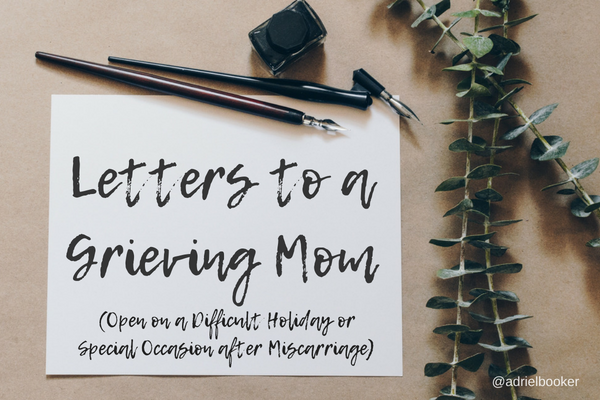 Maybe it’s the birth of your own child—a joyous occasion, but also one that brought its own fresh wave of grief for the child you never held. Sometimes we see these days coming and the lead up is harder than the day itself. 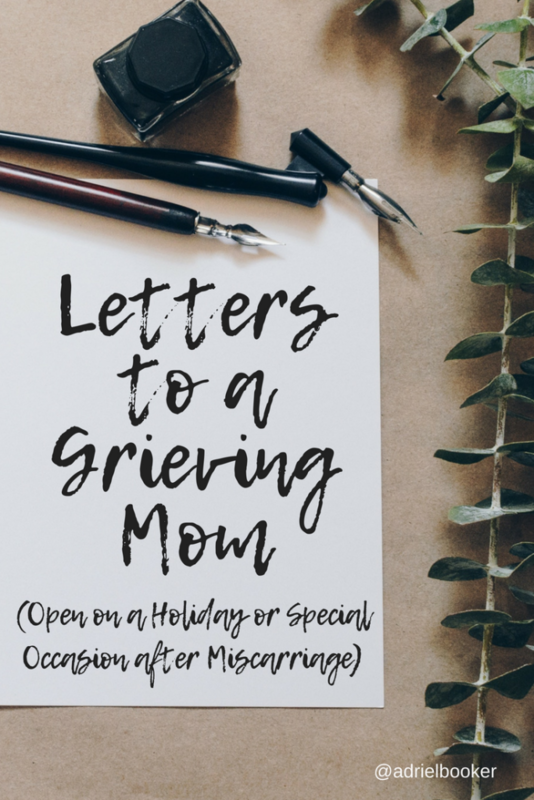 Sometimes it’s more sneaky and we didn’t realize an event or occasion was even going to be a milestone day in our grief journey. Sometimes we’re just plain blindsided. These days aren’t “safe” and there’s no way to prevent them from coming—the named ones or the unnamed ones. As hard as they are, they are a part of our way forward through grief. If you’re like me, your temptation might be to distract or busy yourself through painful days. But let me gently encourage you to open your heart to the sting and invite deeper healing to come. Just as salt water can cause a wound to sting further while also helping to heal it, so embracing grief can simultaneously hurt and heal. 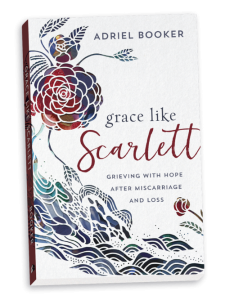 So instead of distracting yourself or numbing the pain, I’m going to encourage you the same way I have in Grace Like Scarlett—go deep. Dive under those waves of grief. If you try to outrun them or conquer them, you’ll likely be thrown for a loop, tossed under the force of them. But if you’re willing to dive in, and specifically to dive in to the presence of Jesus, I promise you he will meet you there under the surface. You will not drown. You won’t be destroyed. In fact you can emerge on the other side of this wave a little more healed. More waves will come, of course, but you will never be abandoned or left without hope. I remember a friend telling me she couldn’t bear all the nativity scenes around Advent and Christmas time. Another described the heartache of seeing her family gathered around the Easter table, laughing as normal even though she felt like her world had been flipped upside down. Another faces every Mother’s Day knowing it’s also the birthday and anniversary of her unborn baby. There is no way to avoid these occasions, so these women are faced with no other choice than to find their way through them. But mama, you are stronger and more resilient than you perhaps think. And even more importantly, you are more loved than you think. God sees you. He sees your pain. He sees your heartbreak. He hears your cry for relief and recognition and he feels your tears even as they fall to your chest. You may feel like the whole damn world has forgotten but he never, ever will. He loves you with an everlasting love so thick and sure and mighty and pure that nothing can ever separate you from it. He doesn’t despise your weakness, your humanity, your fragility. He doesn’t wish you would “pull it together,” and he’s not worried about you being some kind of party pooper. There is so much room for you to be your wonderful self—grief and all. Do what you need to do today in order to experience your grief and invite Jesus into it. Dive deep. You may need a day to let grief quietly work its way out or you may need a day to take a bucket of balls to the tennis court and pound out your anger through your most focused and forceful serves. You might find it cathartic to draw aside and try to imagine what it might look like to see your child in the presence of Jesus. You might need to talk it out with your husband or sister, or close down your social media feeds and practice centering prayer. However you need to experience and process your grief today, be intentional. If you are a Christian, welcome Jesus to be a part of it. We call on you today as the God Who Sees. You’ve promised to draw near to the broken-hearted, so will you draw near today? We confess our grief, not because it is a sin, but because confession gives us a chance to exhale. Help us now to inhale grace. As we cry our tears and feel our pain, would you mingle your very self with our tears and help us to heal a little deeper. We remember our babies with longing and sorrow, but help us also to bear witness to the miracle of life in your presence. Thank you that our baby’s aren’t lost, but they are found within your embrace. Help us to find ourselves there today too—wrapped in the arms of our God who sees and knows and feels right along with us.